Anthony Davis, who is out with a stress reaction in his left ankle, will be out with the injury for at least another week, according to The Times-Picayune. Davis has now missed 11 straight games with the injury, and with every passing game, he’s starting to lose out on opportunities to bond with his teammates, continue to learn the game against some of the better athletes to ever play the game, and starting to slip further and further from the minds of those who follow the game. In Davis’ absence, the New Orleans Hornets have lost 9 of the 11 games they’ve played without him. 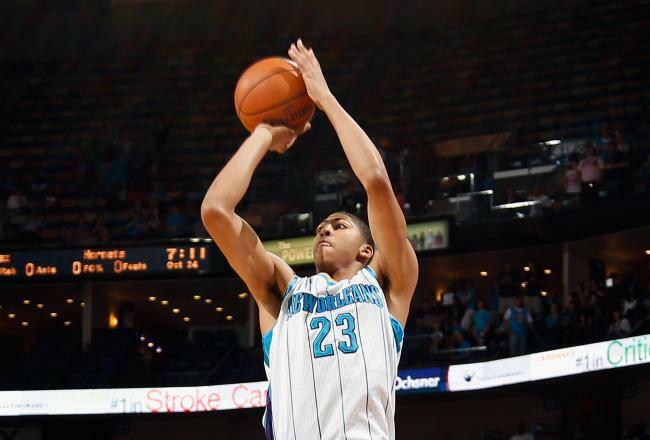 This entry was posted in Uncategorized and tagged 2012 NBA Draft, Anthony Davis, injury, injury bug, NBA, NBA Draft, nba rookie, NBA rookies, New Orleans Hornets, sports by NBA Rookie Class. Bookmark the permalink.